Lung cancer is the leading cause of cancer death in the United States, killing more Americans than breast, prostate and colon cancer combined. Medical researchers first made a probable causal relationship between asbestos exposure and lung cancer in 1935. Seven years later, in 1942, the National Cancer Institute confirmed asbestos as a cause of lung cancer. People who were exposed to asbestos at any time in their life may develop serious health problems. Pleural mesothelioma and lung cancer that are caused by asbestos may take years before they can be diagnosed. 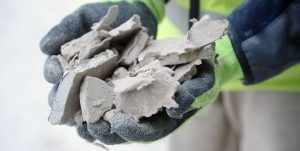 Asbestos-related lung cancer lawsuits offer a way for victims to receive compensation from the companies that used asbestos, despite known health risks to employees and customers. 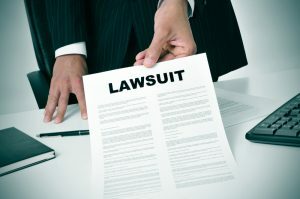 There may be no need to file a lawsuit or go to court to receive a settlement because companies who are liable for asbestos claims have already put aside over $30 billion into “asbestos trusts” to compensate those diagnosed with asbestos lung cancer and mesothelioma. Even if the company is bankrupt, money may still be available to asbestos victims and their families. Receiving compensation from the asbestos trusts may be easier and quicker with the help of an experienced asbestos attorney, who the Relion Group can help you find. There are time limits associated with every asbestos-related case. Each state has statutes of limitation, which dictate when you can file a claim. Most statutes of limitation range from one to six years from the time the cancer is discovered, but only an experienced asbestos lawyer can accurately determine all deadlines associated with your claim. Call the Relion Group right now at 888-460-1702 to find out if your case qualifies for asbestos trusts compensation.